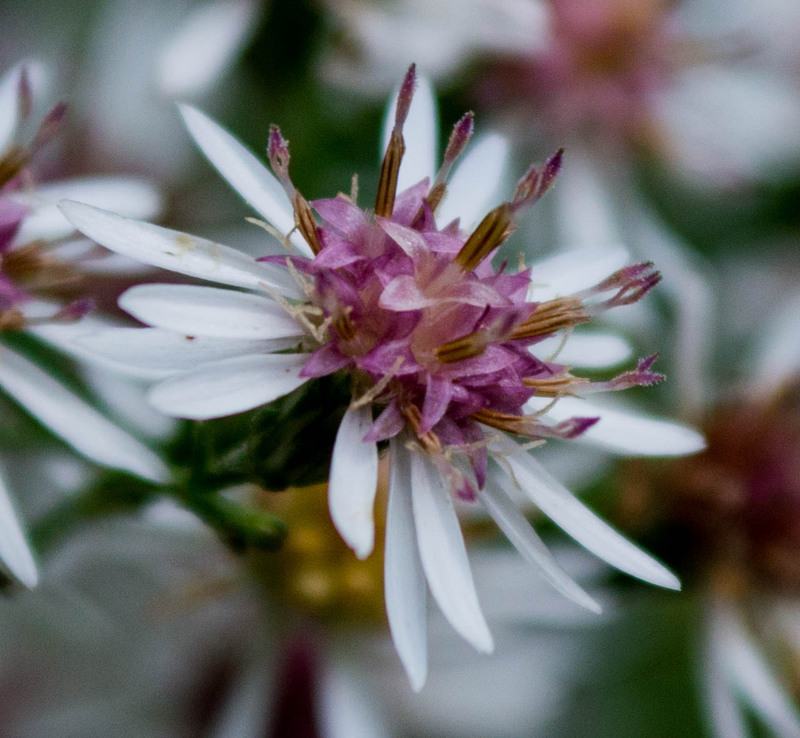 Plants formerly in the genus Aster have been reclassified into more than 100 genera, based on DNA analysis (the old system of taxonomy went by flower and fruit morphology), which is only one of many factors that make these plants hard to ID if you’re an amateur enthusiast. Most of those plants found in this area are now classed as Eurybia, Symphyotrichum, or Doellingeria. 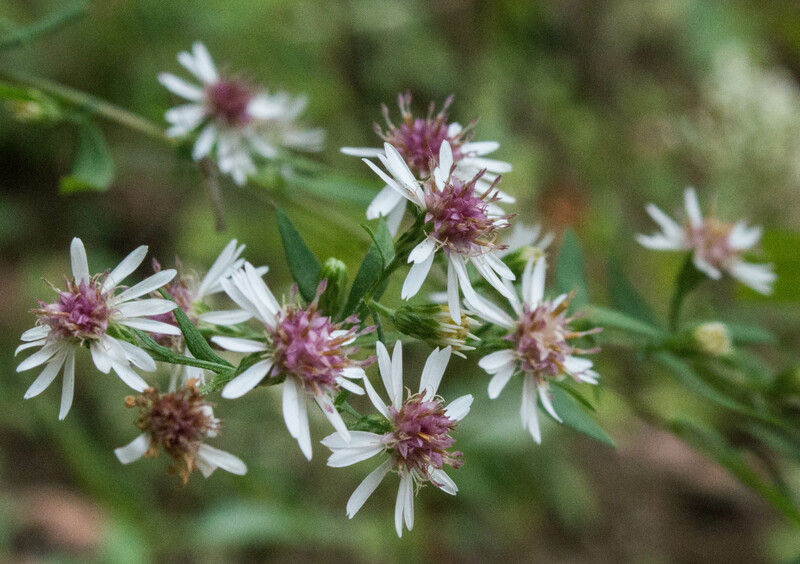 Calico aster is a common woodland plant found throughout the eastern half of the US and Canada. It grows to three feet tall and is often covered in masses of flowers, a delightful sight at a time of year when little else is blooming and leaves are falling from trees. One thing to keep in mind: it’s entirely possible that I’ve mis-identified this plant! If you think so, please leave me a comment, and thanks. 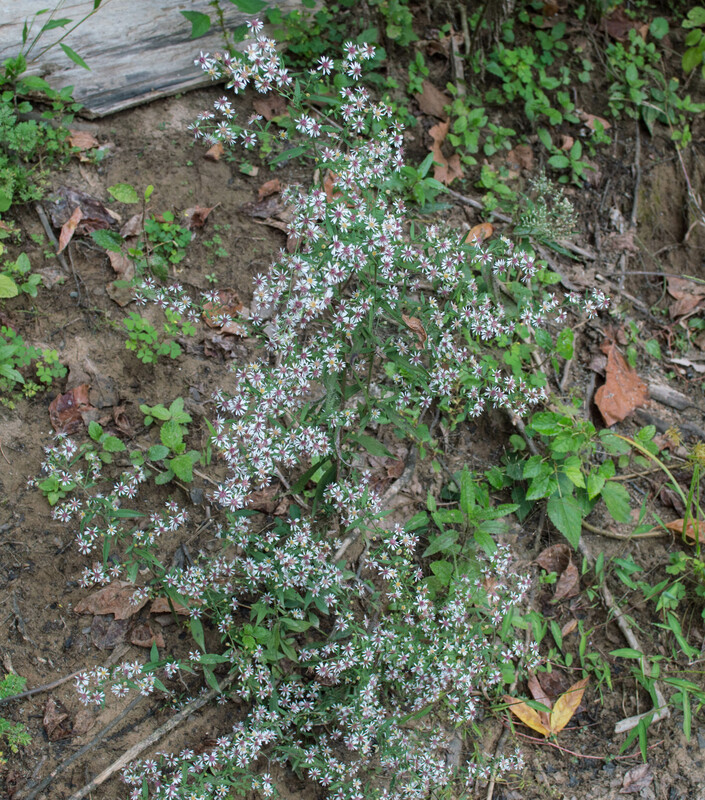 This entry was posted in Uncategorized and tagged aster family, calico aster, native plants, wildflowers by elizabeth. Bookmark the permalink.